JSIE supports fostering global talent, and offers global networking opportunities for young professionals, with an emphasis on helping women and minorities realize their greatest potential. Women’s Initiative for Sustainable Empowerment (WISE) summer program is to provide opportunities to shape our life mission and work toward social challenges. This summer program provides you opportunities to develop and shape ideas into practical plans. JSIE will award certificate to those who have outstanding project ideas. 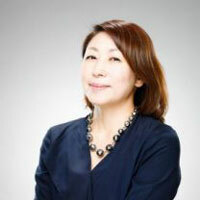 Akiko Murai is a leadership and career coach with Organizational Development and Global Talent Management background. She has extensive and diverse professional experience ranging from the field work in Brazil with a United Nations agency to marketing financial products and services to high net worth individuals at a commercial bank. 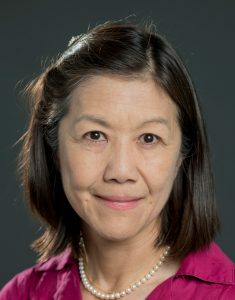 Akiko also has worked for the World Bank Group as a HR professional over 18 years, mostly in Washington DC and assignments in Singapore and Korea. She is experienced in coaching and group facilitation in the international business setting among people of diverse background and interests. She has a Bachelor’s degree in law from Sophia University (Tokyo, Japan), and Master’s degree from Fletcher School of Law and Diplomacy (Medford, Massachusetts). She has done the Leadership Coaching Program at Georgetown University, and is certified as ACC (Associate Certified Coach) by International Coach Federation. 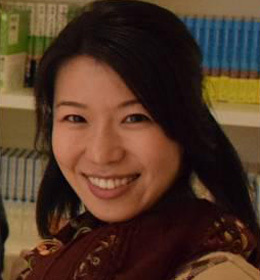 Mari Kogiso is Director of the International Planning and Development Division of the Sasakawa Peace Foundation. Prior to joining Sasakawa, Mari was a Japan representative for the Dalberg Development Advisors and extensively worked with private sector corporations on issues related to inclusive business. She also held several senior positions at the World Bank Group. She worked on infrastructure development, capital market development, and on project finance. Most recent position she held was the Representative for Multilateral Investment Guarantee Agency (MIGA) in Tokyo. Mari is also the founder and CEO of the BLUE FOR TOHOKU and support the child homes in the Tohoku region. Mari holds a BA in Economics from Tokyo University and a MA from the Fletcher School, Tufts University. 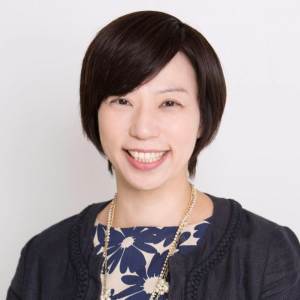 She is a member of the G8 Social Impact Investment Task Force in Japan and also serves as an expert advisor on JICA’s Overseas Investment Review Committee. Miwa Koyasu is President & CEO of Will Lab, Inc. Started as a journalist at Nikkei Newspaper in 1995 and then worked at a publishing companies in Singapore. Joined Recruit Holdings in 2005, and became Corporate Vice President at Recruit Jobs Co., Ltd, after working at its Shanghai office and leading “ABRoad” magazine as chief editor. Initiated Iction! Project within Recruit Jobs Co., Ltd, in 2015 as the project director, and started own business “Will Lab” in 2016, for supporting women empowerment, career development, leadership consultation, and providing advisory services. Also preparing handmade craft business to create women’s employment in developing nations. 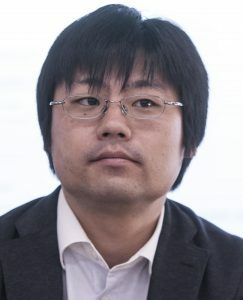 Currently serves a regional revitalization advisor of the Iwate Prefecture Kamaishi City, and Executive Partner of ChangeWave Inc.
President & CEO of Nippon Biodiesel Fuel co. Ltd.
Suzuka Kobayakawa is affiliated to project development of KIBOW Impact Investment Team. Suzuka Kobayakawa has joined KIBOW foundation after having worked as Project Manager at a social start-up company in Nigeria, as Reporting Officer for UNDP in Nepal, and as a Team Leader at Recruit in Japan. She is also an Acumen Global Fellow. She holds an MA in Sustainable Development from the SIT Graduate Institute. At what level of Japanese communication skills required? → For English speakers, conversational Japanese communication skills are preferred. Applicants should be able to discuss matters in English and/or Japanese with other participants during group works. Are transportation and hotel expenses included? → No, the fee only covers program participation and reception in the end of 2nd day. What would happen if there are more applicants exceeding the capacity of 25? → Applicants are accepted in first-come-first-served basis, who have completed the application process and payment. What would happen if there are too many ideas? → On the first day, idea presenters are requested to make 1-min. presentation. Please make your presentation attractive, so that your peer participants will choose your idea.